When you book a FeatherTouch Gathering, your guests will receive “Soul Charting” to assist them in better understanding themselves and their experiences on a deeper level—-to learn the power that they possess to control their own life and to recognize the issues they came into this lifetime to work through. 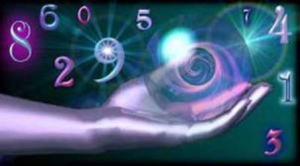 We will discuss the power of one’s name, the power of the birth date, the power of self-awareness, and the power of knowing what they can expect in the upcoming year through the science of numerology. The angels love gatherings of any kind, so we can always look forward to messages from them as well! In addition, FeatherTouch Gatherings offer income potential. you will receive 20% of the total party proceeds! What exactly is a FeatherTouch Gathering? To take advantage of these special offers, email: feathertouch8@att.net, or phone: (440) 223-7510. First come, first served….Book soon ! !